What is the Main Street Ragtime Piano? Ragtime Robert at the piano. 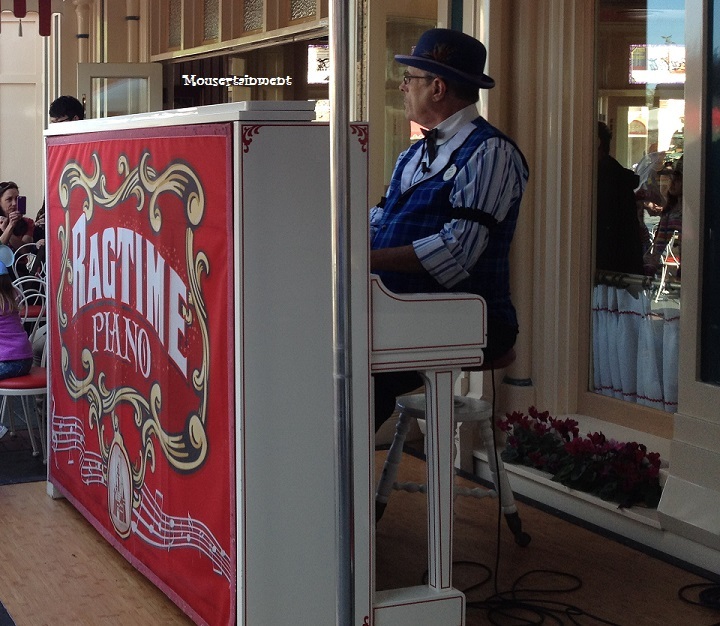 The Disneyland Main Street Ragtime Piano Player helps provide a wonderful ambiance and adds to the theming and place-setting of the area by playing regular half-hour-long sets of cheerful, upbeat music. These performers play anything from classic Disney tunes to period pieces to numbers from famous musicals or may even take requests from the crowd!